The second day of International rides at H.H. 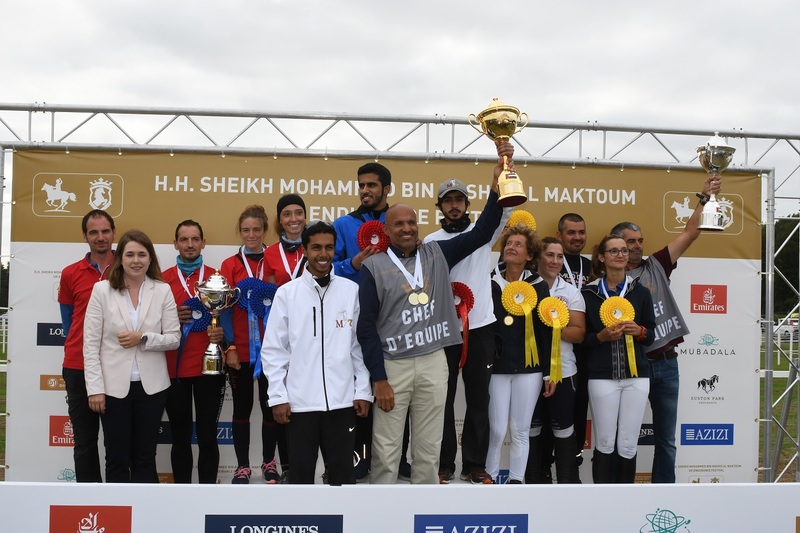 Sheikh Mohammed Bin Rashid Al Maktoum UK Endurance Festival had the excitement of a CEI3* 160km and the first CEIO2* Team Nations Cup and Individual ride to be held in the UK. Twelve teams entered the Nations Cup, representing Belgium, Czech, Denmark, Republic, France, Germany, Great Britain, Norway, Portugal, Slovakia, Spain, Sweden and UAE. The Individual first placed rider was Shaheen Yayhya Shaheen Khalfan (UAE) riding Almazrouei in a total ride time of 04:41:29, and UAE riders took the next five finish places. In the CEI3* 160km, the first placed rider was Abdulla Ghanim Al Marri (UAE) riding Sequinte in a total ride time of 07:01:53, UAE also scooped second place and Algeria third. On Sunday attention will turn to the 220+ riders in the National rides and Pony Club Championships. Vetting is starting from 08:00 and the first riders setting off at 08:30 in what should be a great culmination to a huge weekend of Endurance.